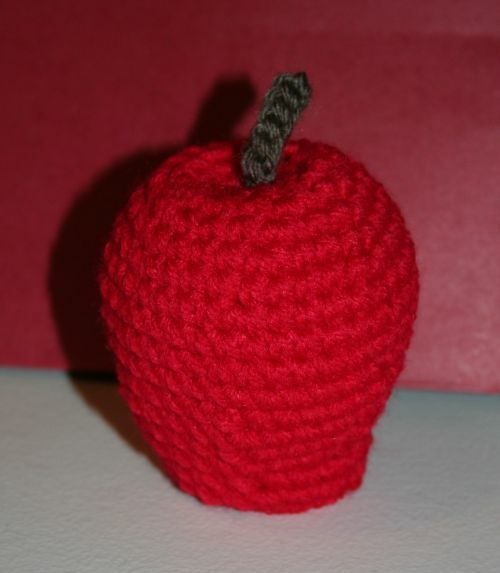 Last year I crocheted my daughter an apple as a teacher’s gift. It went over so well that I decided to make one this year for her new teacher. So I guess it is now a tradition, huh? I use PlanetJune’s free crochet apple pattern that works up really quick and turns out great. I think I may have to make some apples for our house for decoration.